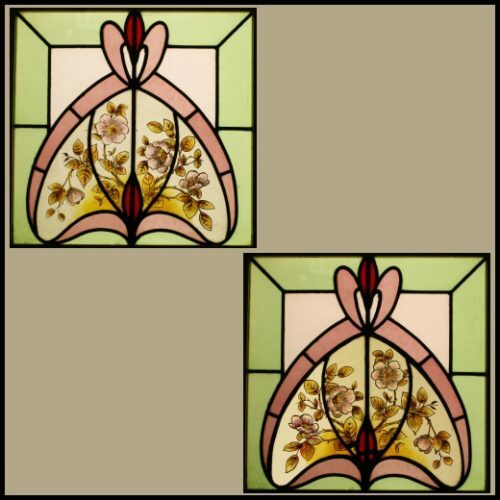 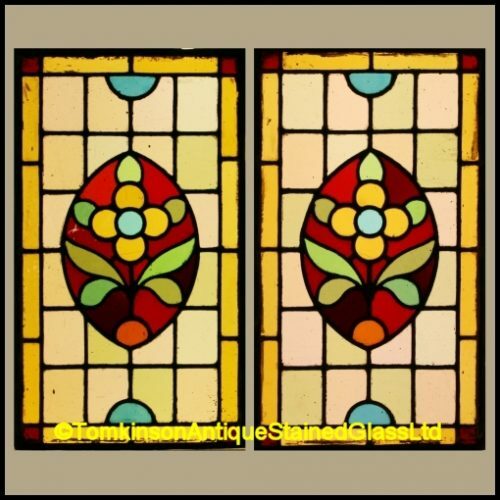 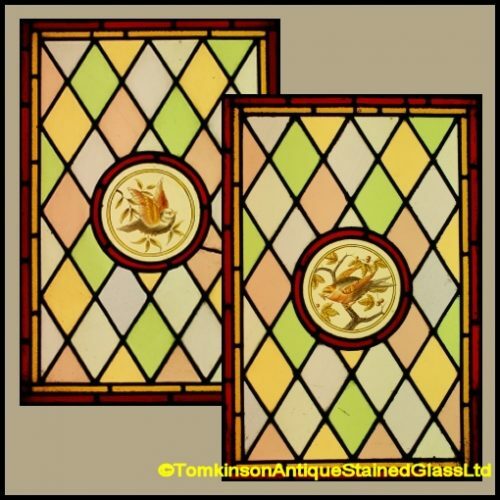 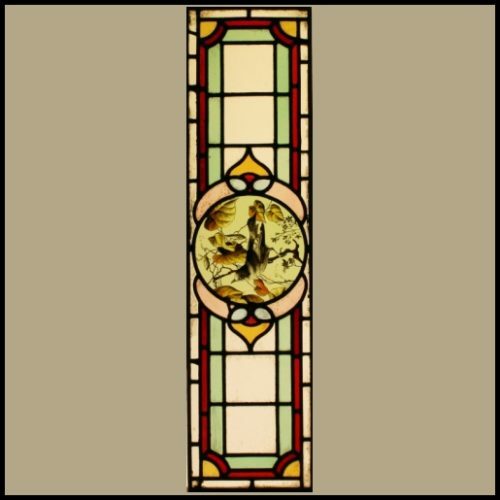 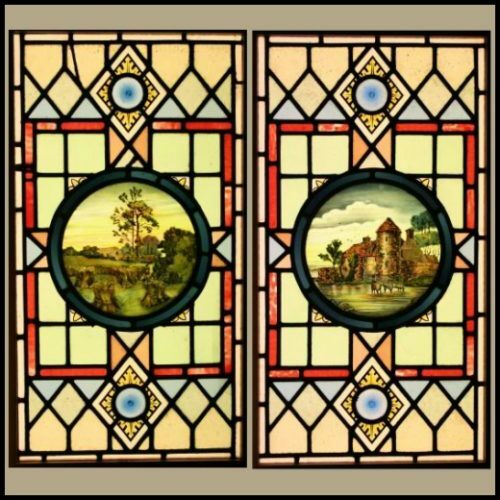 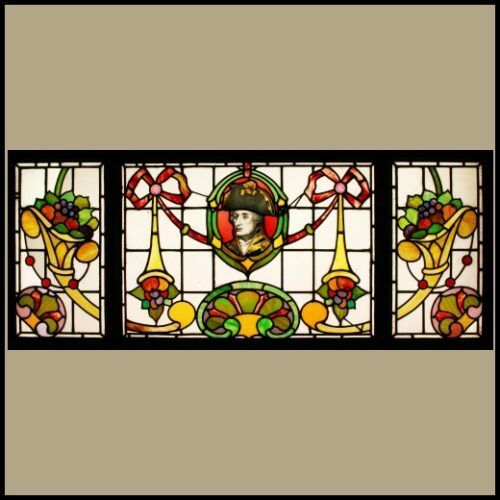 Edwardian window leaded with coloured stained glass and central diamond hand painted panel depicting bird, flowers and foliage. 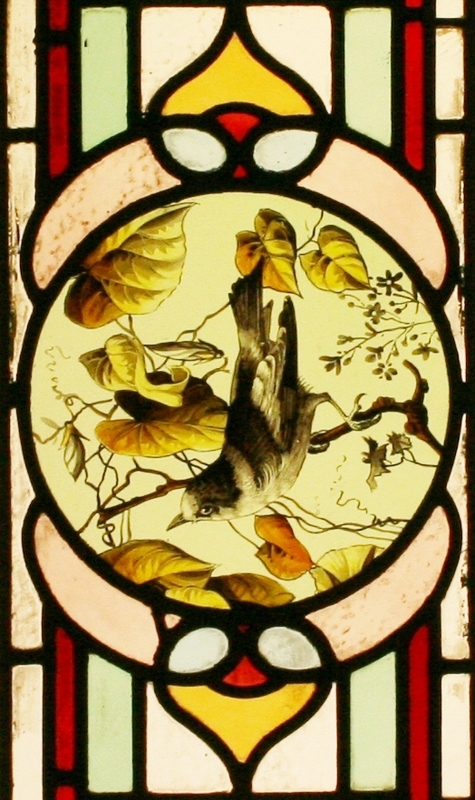 Slight restoration, which has kept the window in original condition. 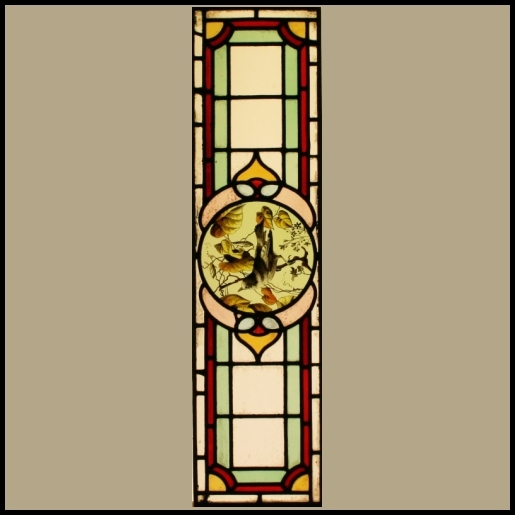 Can be used as a vertical or horizontal window.